t*rexes and tiaras: Friday Favourites 161.. 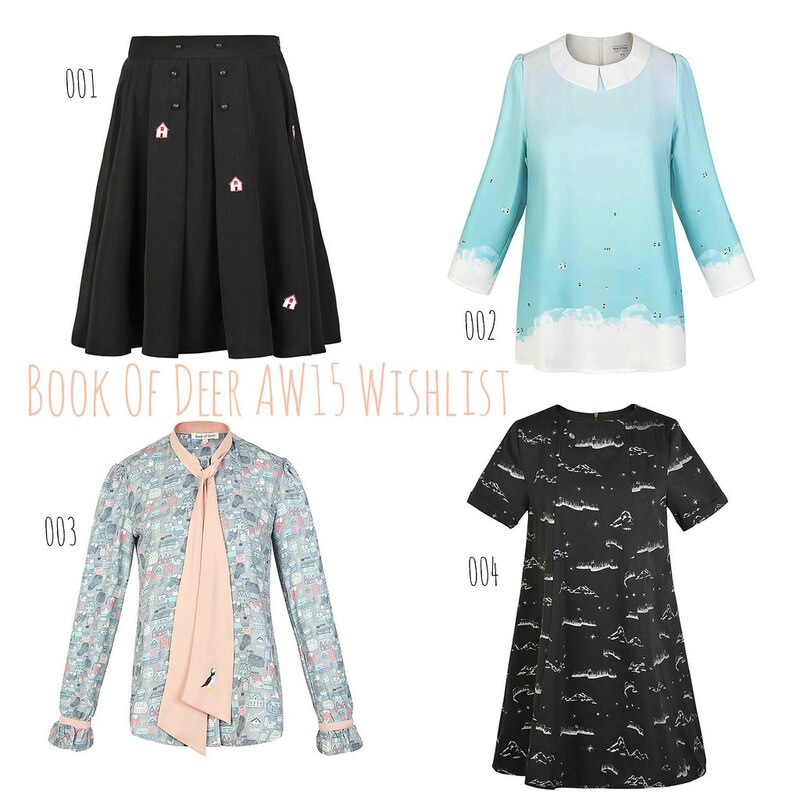 I've been a fan of Book of Deer for a few seasons now, although I only own a couple of their pretty pieces (my jam dress and the grizzly bear skirt). This season, they've come up with even more amazing designs - any and all of which I'd be thrilled to welcome into my wardrobe with open arms! 001: The Stormur Elf skirt features little tiny houses - always a winner with me - embroidered at random across the otherwise demure skirt. I really like the button detail to the front as well. 002: I love the ombre effect of the colour on the Birna Blue Lagoon blouse, and what's more, the tiny little people embroidered around the bottom, who are all swimming in the lagoon. How cute is that?! Plus, y'know, plenty of collar clip potential on that fabulous collar. 003: Just in case the gorgeous pastel house print wasn't enough cuteness on the Reykjavic blouse, there's more. The pretty bow tie to the front is adorned with an embroidered puffin or two - the perfect finishing touch! This is so feminine and lovely. 004: The Fimm Dress might not be the kind of shape I'd usually go for, but I love the print, and the loose, relaxed and flowing shape of the dress. I can just imagine it looking perfect with a pair of opaque tights and some flat ankle boots. Have you seen Book of Deer's latest collection? Which is your favourite piece? No, Eilidh is from Scotland and Hong Kong, I think. But this collection is inspired by Iceland. In the past she's had other themes for her collections. What an interesting collection, I like the Stove blouse and Peg Doll dress. Ah yes, the peg doll dress is so cute. I love my jam print dress from last season as well. I've never heard of Book Of Deer before, but I have been lusting over their website thanks to you. How gorgeus are their prints, and Char, they are so you!! They're such pretty pieces, I'm not surprised.